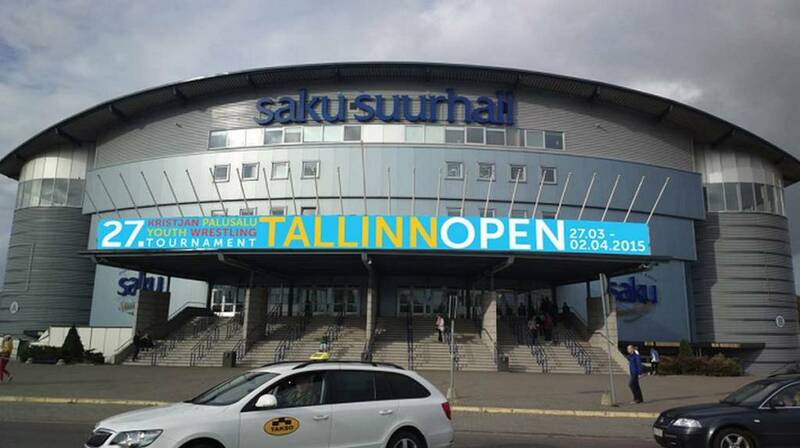 The 2019 TALLINN OPEN – KRISTJAN PALUSALU YOUTH WRESTLING TOURNAMENT takes place at Saku Suurhall. Saku Suurhall is the largest indoor arena in the Baltics and for Eurovision fans – this was the site of the 2002 Eurovision Song Contest. Saku Suurhall is 10 km from the airport and harbour and 7km the centre of the Old City. When you see picture below – then you know you are at the right place!